Leann Tilley is Professor of Biochemistry and Molecular Biology, and Associate Director, Structural & Cell Biology in the Bio21 Molecular Science and Biotechnology Institute, The University of Melbourne. 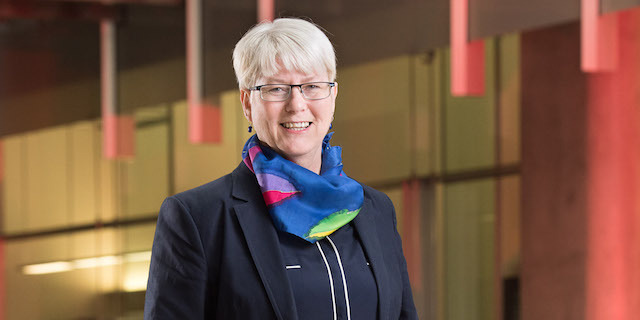 In 2015 she was awarded the Australian Research Council Georgina Sweet Australian Laureate Fellowship for her research on the malaria parasite to deliver new biotechnology and biomedical outcomes that may combat disease in livestock and humans. As part of its Laureate Professorship programme the Australian Government introduced the Georgina Sweet Australian Laureate Fellowship in 2010. The award is made to a highly ranked female candidate from the science and technology disciplines. The Fellowship includes additional funding for recipients to undertake an ambassadorial role to promote women in research. As part of her Laureate Fellowship, Prof Tilley is committed to promoting gender equality in sciences. Over the course of her Fellowship, she will initiate strategies to promote the recruitment and advancement of women in science. See this page for further information on these gender equity initiatives. The first strategy to be implemented was the establishment of a significant award for women in science. Commencing in late 2016, Professor Tilley has been sponsoring the inaugural Georgina Sweet Awards for Women in Quantitative Biomedical Science. A $25,000 award will be awarded to each of three recipients in 2018 who demonstrate excellence in quantitative biomedical science. Also implemented was the Georgina Sweet Travel Support for a Female Keynote Speaker in Quantitative Biomedical Science. Up to three awards of $3,000 are available each year to support the attendance of a female keynote speaker at an Australian conference.